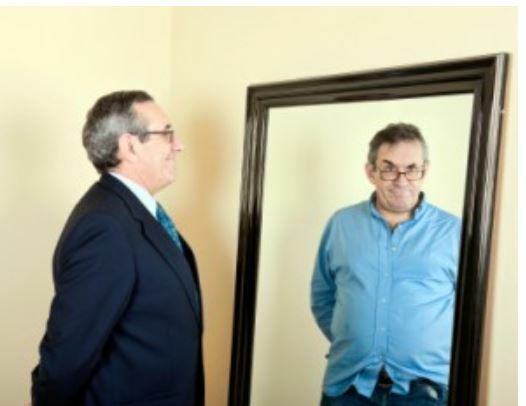 The Customer Mirror and Improving your Customer Experience | The Taylor Reach Group Inc. I had a humbling experience the other day. I lost a sales opportunity because we failed to deliver the Customer Experience that a prospect expected to receive. In our marketing and advertising we portray the company as professional, responsive, easy to do business with and in our opinion most importantly expert at what we do. This is what I would describe as our brand promise. In this instance we delivered on part of this promise; the prospect went to the web, searched for companies that offer the services we offer (customer experience and contact center consulting) and we appeared on the top of the Google listing. The prospect navigated to our site and found the relevant content, case studies and testimonials that all reinforced the promise. They then navigated to the contact us page and picked up the phone. Here is where things went wrong. The prospect dialed the number and was greeted by an automated message, which though quite common today, the prospect felt wasn’t inline with the promise, but so be it. Not having noted the extension to enter that into the auto attendant the prospect elected to leave a message in our general mailbox. Now we go from bad to worse. I should tell you that all of our consultants employ direct lines when interacting with our clients, these are the same numbers that are accessed through our extension list. We do not get a large volume of calls on our number that go to the general mailbox and when we do the phone systems send us the message .wav file by email, so we can act on it. One small detail however, fell through the cracks. We allowed the mailbox to become full and it stopped accepting messages. Now we have a huge disconnect between our brand promise and brand image we worked so hard to create. Our prospects cannot even leave us a message to tell us they are interested in doing business with us. Oops doesn’t come close to describing my reaction when the prospect shared this experience with me. Needless to say we emptied the general mailbox, changed the contact us page on the website to reflect direct numbers and apologized profusely to the prospect, but the damage was done. This experience had me thinking about our customer experience and trotting out that familiar maxim I have heard myself and so many other consultants and marketers invoke, “if only we did what we advise our customers to do”. Of course this is a truism and invoking the ‘cobblers’ children who never had shoes’ mantra doesn’t fix the problem. It did however get me to revisit research we began in 2009 on how to deliver the desired customer experience. You may have noticed that I didn’t say how to provide an “excellent” or “superior” Customer Experience, but rather the ‘desired’ Customer Experience. Qualitative judgments are not in our purview as marketers they are judgments that only a customer can make. In business we often employ words and phrases loosely, informally and all too frequently, inaccurately. When a Mission Statement decrees that “we will deliver superior customer service”. What is it really saying? Superior to what? Superior to our service before we wrote the Mission Statement, or our service today? The service of our competitors? It is very ambiguous. This ambiguity and lack of definition allows brands and companies to make statements and even commitments that even they do not fully understand. Is it any wonder that some of the worst service is provided by companies whose Mission Statement call for ‘superior’, ‘world class’, or excellent service? It shouldn’t. Specificity is important when defining what will be delivered. By defining a frame of reference and associated metrics it becomes possible to measure the success of the delivery. Every business has and needs customers. To think that you can measure your success in delivering the service or the Customer Experience without including your customers is impossible. When you attempt this you become the emperor, from the H C Andersen fairy tale. 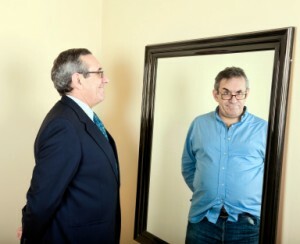 Who sees himself in the mirror, dressed in the best finery, albeit invisible, when everyone else sees him as naked. The Customer Experience has been defined as “any interaction, via any channel, between a customer and the Brand”. This is a pretty good definition. I would suggest one minor change to this definition dramatically improves it: “A designed interaction via any channel, between a customer and the Brand”. The key difference between to two definitions of course, is the insertion of ‘design’ into the concept. I propose that all customer experienced are designed. This isn’t to say that every company and brand as a designed, defined and documented ‘Customer Experience’, a ‘Customer Experience roadmap’ or documented ‘Customer Journey’, many, perhaps most brands don’t. We traditionally view the concept of design as proactive exercise specific to a narrowly defined subject. We need to expand our thinking. We design not only when we consciously make decisions, but also when we make alternate decisions or fail to make them at all. This Karmic view of decision making is much more aligned with what happens in business and reflects both the ‘sins of omission and sins of commission’. 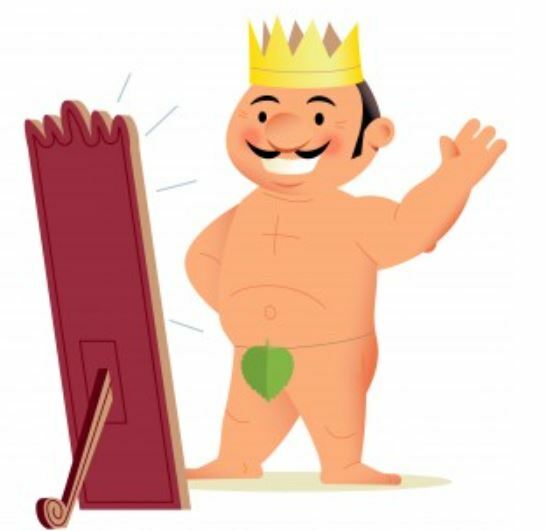 The role of the ‘mirror’ in the Emperors new clothes, mentioned above is an apt analogy for many brands today. They see what they want to see or perhaps what they expect to see. Marketers project their brand and their company through their marketing and advertising activities. They project: what the brand means, what it is all about, what it represents and what it stands for. This projection is shared with their customers and prospects through marketing and advertising that communicates the attributes of the ‘brand’. 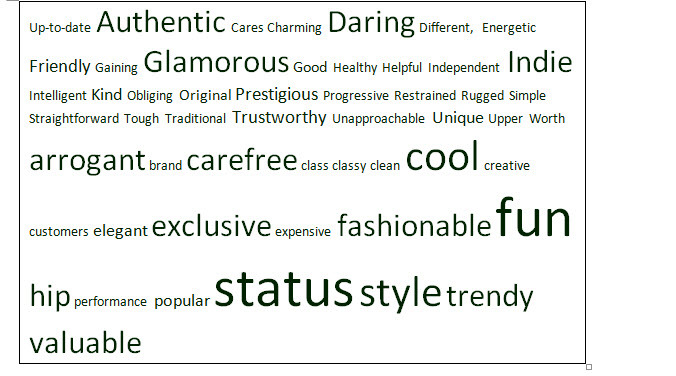 Attributes in this parlance, refers to the adjectives, descriptions, emotions and values of the brand. If we think of Apple we conjure up attributes such as: fun, cool, hip, creative, visionary etc. These attributes would not describe Microsoft. Mercedes-Benz could be termed as: class, ambition, status, expensive, quality and reliable and while BMW share some of these attributes (class, ambition, status, expensive, quality) they would also add: fun, cool, exciting, thrilling to their own attributes list. Brands strive to project their attributes in everything they do. 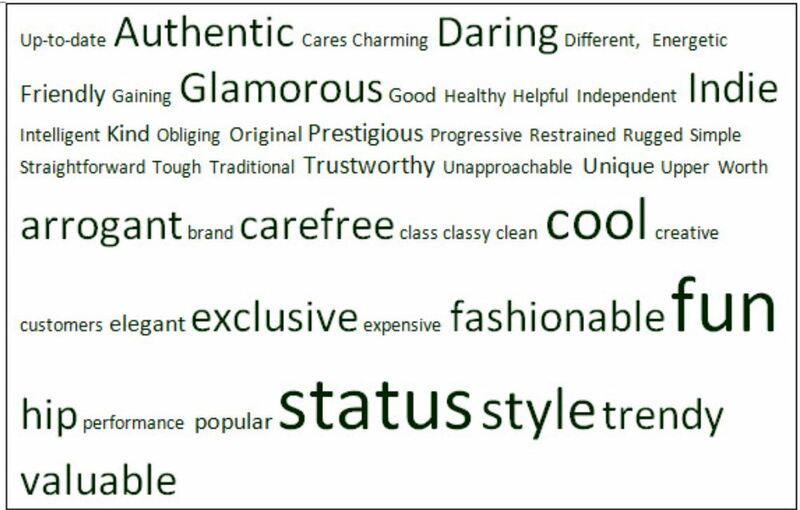 It is these attributes that create the ‘Brand Promise’ and expectations of the brand in the minds of the consumer. Customers weren’t always customers. At one point in time even the most loyal customers were once prospects. As prospects their perceptions of a brand or company was formed primarily from two sources: the brand itself projecting its attributes and benefits of joining ‘their club’ as a customer; and by the opinions of the prospects peers and influence network. Prospects know little of a brands products or services beyond these two streams of communication. In the diagram above (A Customers Progress) we can see the shift in understand and perception from being shaped predominantly by the brand promise that Marketing makes to being increasingly defined by the customers actual experience of the product or service. Throughout this process the marketers continue to project the brand and its associated attributes. The customer experience is evidenced in what the customer reflects back to the brand. This ‘reflection’ is the key to developing a successful Customer Experience strategy. In the perfect world the marketer sees the customer reflection as identical to what they have projected. In the majority of organizations this is not the case. What the customer reflects is their experience of the brand and organization is quite different to what was projected by marketing. Any variance between the projection and the reflection illustrates a delta or degradation of the customer experience from what was promised by marketing to what is actually delivered to the customer. There can be many reasons for this degradation: lack of alignment or even agreement as to what the brand should be projecting; a failure to execute on a strategy to improve the reflection or an absence of comprehension that such alignment is essential to achieving the customer experience objectives. This ignorance of the lack of connectedness unfortunately is all around us. At many points in the ‘Customer Journey’ we see disconnections from what we have been lead to expect, by marketing projections of the brand. We see advertising and marketing touting the benefits that will accrue to us as subscribers to a new plan with our wireless carrier. The images show happy and enthusiastic customers and staff. Yet the experience of customers can be significantly different. Distracted, uninterested retail staff, long wait times in a call center queue, restrictive policies all serve to define a customer experience at odds with the projected message. So where do we begin to correct this dichotomy? First we must understand in detail what are we as marketers projecting? What are the attributes of the brand that we are projecting and what is our customers’ experience? What are they reflecting? By identifying these two perspectives we are able to see the ‘gap’ between them. Then we can determine not only where the projection is degrading, but also the degree of degradation. As marketers we project the brands attributes which informs the anticipated customer experience and the actual customer experience achieved shows us how well the contact center interaction has reflected these attributes. To make the esoteric concept actionable we need to define and document both the projection and reflection in the same terms and employing a common lexicon. 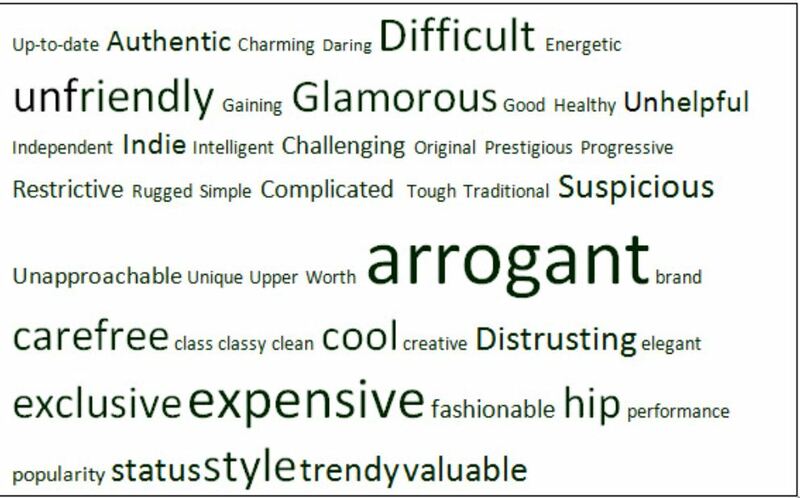 On the projection word cloud the words that jump out include: Status, Style, Fun, Glamorous, Cool, Daring Indie and Authentic. But on the reflection cloud we see: Arrogant, expensive, Glamorous, Difficult, Unfriendly, and Style. Glamorous is the only word that is popular in both views. Many of the projected attributes have been eroded and reduced due to the service delivered. 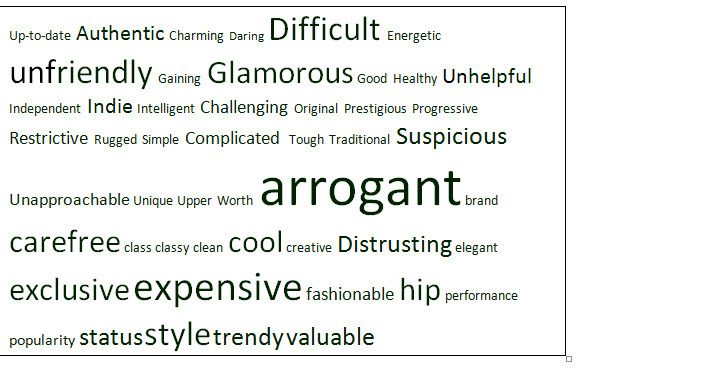 Which word cloud would you prefer to see associated with your brand? Regardless of whether you spend a $100 thousand or $100 million to promote your brand, to see the message twisted and changed, means that a significant portion of your spend is worthless; or worse, actively damages the goodwill you are striving to create. With the results of the gap analysis in hand we can begin to ask the question ‘why’. This diagnostic approach is the first step to identify and plan corrective action. For many organizations this question of why leads them very quickly to focus on their contact center. Research from Perdue University found that 92% of consumers form their opinion of a brand based on their most recent interaction with that brands call center. This is staggering number and one that should give pause to marketers everywhere as they realize that the tens of millions of dollars they are pouring into the brand maybe eroding almost as quickly through their underfunded and understaffed contact center. Call and contact centers represent the single most common point of interaction between customers and a brand or organization so beginning here can have the largest impact. The customers’ experience of their contact center interaction is virtually interchangeable across many organizations. The call to your wireless provider, local utility or favorite eCommerce retailers are often all but interchangeable experiences. You may ask yourself why this is so. (I know I have) Why have so many organizations ‘dumbed down’ their contact centers so they appear no different than any other? The culprit here is costs: without being able to ‘join the dots’ between the marketing projection and the customer’s reflection, most organizations have viewed the contact center as a ‘cost’. In business, as we all know, when faced with costs the action plan is to reduce costs in any way possible: adhere to cost focused Key Performance Indicators (KPI”s) such as Average Handle Time, Service Levels and Average Speed of Answer, standardize processes, automate interactions, outsource and off-shore service delivery. All of these initiatives have been successful in reducing the cost of each interaction and reducing the overall spend. None of these actions likely do anything to improve the customer experience or increase brand value. The result is the generic, plain vanilla feeling we get in so many contact center interactions. Faced with the fact that in your largest customer interaction channel , the contact center , your service is indistinguishable not just from you competitors, but from centers serving entirely different customer segments and verticals is a wake up call to brands and organizations. Faced with this realization many bright marketers feel lost as to where to actually start to correct this situation. We have, by now conducted research to confirm the attribute and elements that describe and define the brand, the aspects if the brand that we project to our customers and prospects. We have also conducted research to determine what the customers are projecting back. The next step is to focus on the service delivery points like the call center or retail network and look at how well they support the elements and attributes of the brand that marketer’s project. Be prepared for a ‘blank stare’ when you ask this question. Contact center operations have focused for so long on cost containment and reduction that any other focus seems superfluous. Expect that most will not know what you speaking of or even understand the language you use. You will need to provide definitions and a lexicon in order to move this conversation forward constructively. With some degree of common language and a shared understanding you can begin to examine how the contact center supports the brand today. What influences the customer reflection as the customer experience and perhaps more important you can begin to see how the center could support the desired experience. Any interaction through a contact center between a customer and a brand can be described on a myriad of levels: based on quantity and numeric values, qualitative assessments (self assessed or customer provided), Emotional connectiveness, Rational effectiveness, and the Customer effort. Contact centers are awash in numeric, quantitative data: call volumes, handle times, service levels average speed to answer etc. They are increasing also looking the qualitative perspective: first contact resolution, internal quality scores, external CSAT and NPS measures. There are problems with all of these commonly relied upon metrics. Numeric reporting doesn’t tell you how well the center performed and qualitative metrics tend to lack both the granularity and macro view required to really asses how well the contact center is performing in supporting the brand. In particular, Net Promoter Score has become easy shorthand that can be understood at all levels of the organization; it doesn’t provide some of the granularity that results in being able to make substantive and structural improvements. In order to gain a true understanding of what customer experience the contact center is reflecting, we need to view the customer experience in the context that the customer sees it. 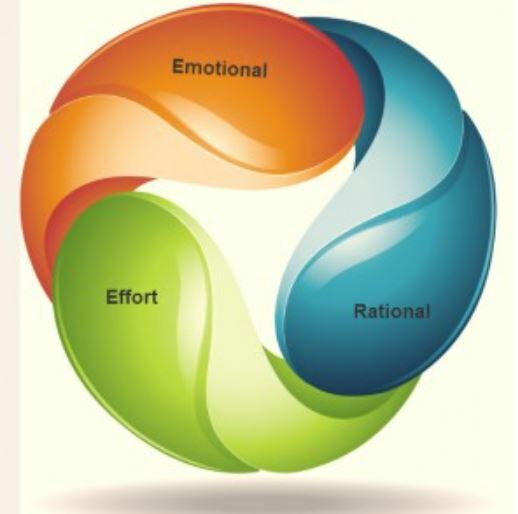 This insight is achieved by viewing the level of emotional connectedness, the rational effectiveness that is achieved and the effort the customer is required to put forward during the interaction. The emotional aspect of respect, empathy, listening and comprehension provide insights into the level of connection the customer feels related to the call or interaction. The rationale aspect focuses on resolution, clarity, knowledge and authority, defining how the agent was able to assist the customer. 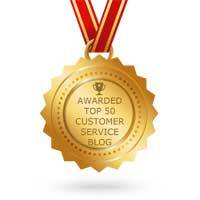 Customer Effort tells us how easy we really are to interact and communicate with. The final element of assessing your customer experience is alignment. Knowing that the reflection as delivered to our customers through the contact center does not, by itself change anything. But it does give us a starting point to examine the contact center operation with a view to the customer experience. Equipped with this information and the level of emotional and rational connectiveness and the customer effort we can then begin to architect specific and targeted change in the contact center to better mirror the brand attributes, deliver an improved level of emotional connection, and rational effectiveness while ensuring that we minimize the customers effort and are easy to do business with.